In the world where people use wearables and mobile apps to track everything about their health, including levels of blood pressure and blood sugar, and quality of sleep, everyone wants to have all their data stored within one platform where it can be conveniently accessed. How do Apple’s HealthKit and Google Fit compare? Apple and Google have both came up with such platforms that accumulate health and fitness-related data; Google Fit has had less publicity, but it’s successfully gaining traction now. Google is developing side projects that involve AI, but this research doesn’t get as much public attention. The principal difference between Apple and Google platforms is that Google is targeting the fitness aspect of digital health, and Apple is primarily focusing on medical data. 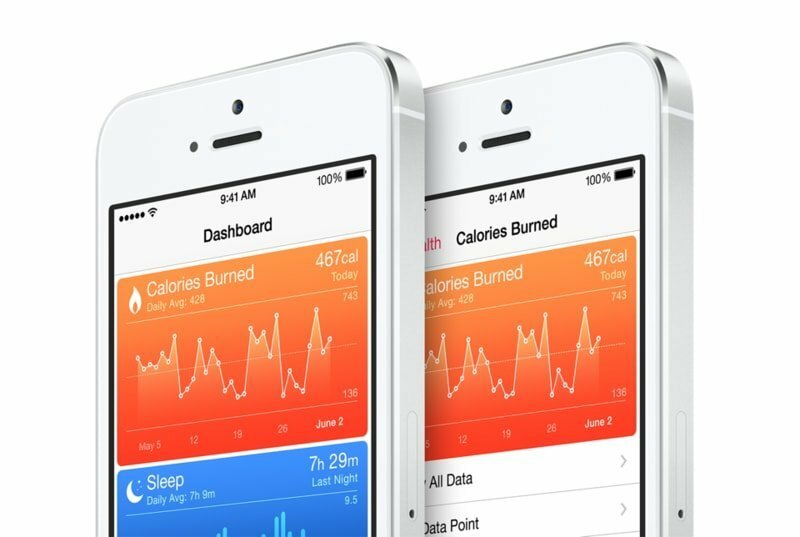 Apple has three products – HealthKit, ResearchKit and CareKit – that together form an ecosystem that works with different types of medical data. This ecosystem was developed gradually and over time - first there was a HealthKit (a platform that allowed users to track their fitness and medical data from their iOS devices and iWatches), then Apple introduced ResearchKit (a framework for medical data gathering for the purpose of medical research), and last came the CareKit, a framework whose aim is to help users manage longer-term illnesses and chronic conditions, monitor recovery after surgery and so on. Google Fit SDK has Sensors API, the Recording API and History API that help developers add features like collecting data from device’s sensors and tracking record of this data. As Google shows on their SDk official page, these three APIs have been used in cooperation with big names in the world of health and fitness: Runtastic, Runkeeper, Endomondo, FatSecret and LYNXXFIT. How can the HealthKit and Google Fit platforms be used for medical and fitness app development? While Apple HealthKit and Google Fit continue to compete on the market, the healthcare industry is very interested in the ways these platforms can change the established ecosystem. The main expectation is that by providing a standardized format and storage mechanism for health data, HealthKit and Google Fit will facilitate development of apps and devices that can share health data between each other. Users can also look forward to switching between different apps without having to worry about transferring all their data. These two platforms somewhat overlap in a general sense but there is still a significant difference both in the type of data each records and their major functions. Google Fit works with Adidas, ASUS, HTC and Intel and continues adding new partners to their list. In November 2014 Google Fit teamed up with Adidas, Polar, and Withings to invite developers to create amazing fitness apps that integrated with the new Google Fit platform. The winners were announced in spring 2015 and the winning apps were promoted on Google Play. All winning apps primarily focuses fitness tracking, sport results evaluation and healthy lifestyle patterns (for example, drinking enough water and moving enough during the day). Health Kit is partnered with Nike and FitBit and tends to focus on healthcare by building connections with professional networks (for example, Health Kit is partnered with Mayo clinic). The general understanding is that introducing HealthKit to separate devices and healthcare providers is a big step toward consolidation of the highly fragmented electronic medical records (EMR). Google Fit provides a simple and user-friendly design, though it requires users to swipe the screen every time they want to access a new bit of information. The information itself is provided in details, allowing users to separately track every parameter. Some users prefer not to exercise with their phone. Google Fit offers an opportunity to add workouts users have done without their phone (by clicking the Menu button and selecting Add Activity ). This bar lets users choose between walking, running, biking and other activities, and add the amount of time they exercised for. Google will add the active time to their profile, and for activities like walking and running it will estimate the amount of steps that were taken. Data can be viewed from the past day, week and month on both the Google Fit app and website. On the main page in the mobile app, users can scroll to the bottom and tap the "See graph details" option. The top left pull-down menu lets them switch between the day, week or month, while the top right pull-down lets them toggle between active time and steps. Below the main chart there is an option to add a secondary chart for weight and heart rate. Health Kit is somewhat more complex than Apple’s other native apps, but it conveniently gives users an opportunity to compare all their data within a single screen, which is helpful if people decide to find out how different factors interact. For example, it shows how types and amount of food and alcohol interact with sleep patterns. Via the Dashboard, users can choose what data Health displays, and choose to display that data by day, week, month or year. In Health Data, they can track their body measurements, fitness stats, information about themselves, and more. In Sources, they can see the third-party apps and devices that can send data to Health, and control which have access to their health data. And with Medical ID, users can add information such as birthdate, height, weight, blood type, and emergency contacts. Number of steps and add information about their favorite types of activity. At the same time, Health Kit allows users to track their sleep too. Heartbeat rate calculation and statistics is probably as close as Google Fit comes to recording health data. The catch with Google Fit is that it provides no way to pass medical data, such as blood pressure or blood glucose, between apps, and therefore is not suitable for serious medical purposes. Using Medical ID, users can also add information such as birthdate, height, weight, blood type, and emergency contacts. Understanding the difference between privacy and security is very important. Privacy is an individual’s right to control their information and decide who is it going to be shared with. Security is the technical means of safeguarding the data. The security requirements of a particular app depend on its functions and on whether or not it contains sensitive personal information. Fitness apps can usually quite easily get away with a somewhat basic level of security whereas anything that is marketed as a medical app requires a much more serious level of in-built protection. When you look at the Terms of Service (ToS) of Google Fit for developers you can find the following Use Limitations: Google does not intend Google Fit to be a medical device. You may not use Google Fit in connection with any product or service that may qualify as a medical device pursuant to Section 201(h) of the Federal Food Drug & Cosmetic (FD&C) Act. Google acknowledges that Google Fit should not be seen as a medical device and therefore does not require additional security measures that are essential for medical apps and wearables. Health Kit also offers well-designed security features, starting with the fact that it only works on iPhones. One reason for that might be security. The iPhone (at least the later versions) have fingerprint sensor security. If health data passes between an iPhone and an iPad how can the device(s) be sure of the user’s identity? If it is just one device by default, especially the iPhone that has fingerprint access, identity can be determined by the device. Medical apps in the USA are controlled and regulated by the Food and Drug Administration guidelines. Possible measures that are recommended in a recent FDA statement include using user authentication (for example user ID and password, smartcard or even biometrics); strengthening password protection by avoiding hard-coded passwords and limiting public access to passwords used for technical device access. Apple considered this list, and this is why HealthKit is protected by bank-grade security and encryption, which means records, notes and other information are protected according to the same standards as bank data. All information is stored in securely protected data centres with multiple backups in place. Patient profiles and clinical notes in HealthKit can only be accessed through a combination of levels for different practitioners and administrator roles. For patients and people everywhere, HealthKit conducts in-depth research to ensure practitioners using their software are appropriately accredited and credentialed. This research forms the basis of the extensive searchable practitioner directory that Apple is continually expanding so that users can find the right practitioner for them. For people who sign up for HealthKit, their personal information can only be accessed by users with their usernames and passwords. Only people who have a user’s permission, such as their doctors, can view their personal information, clinical tools and health records. 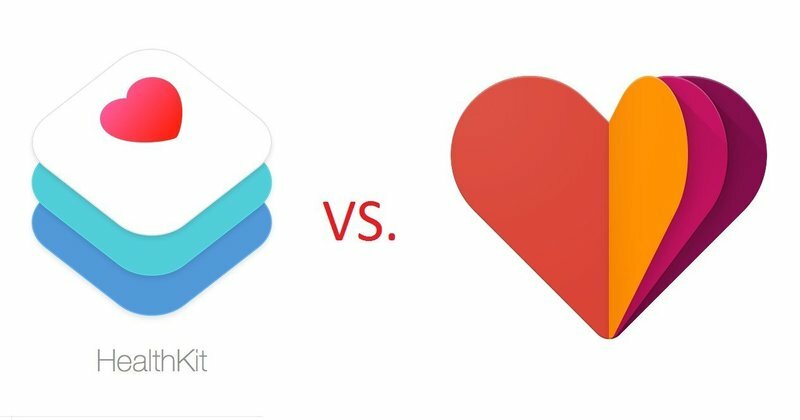 At this point it seems that there is not a clear winner between HealthKit and Google Fit, because both platforms have their advantages and disadvantages. Health Kit focuses on providing very detailed information and stressing the “health” side of the matter, whereas Google Fit supports many more different wearables and devices and focuses on fitness more than on health.